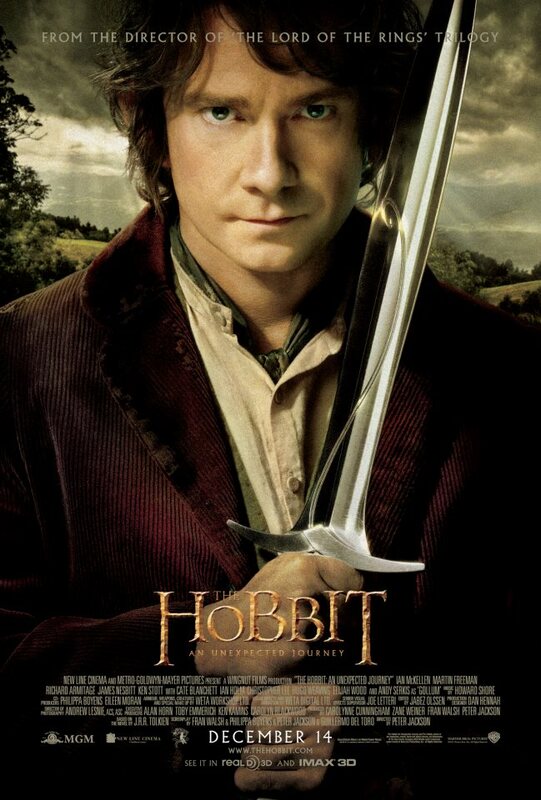 Earlier today I went and saw the first movie in the Hobbit trilogy by Peter Jackson & Co. I hadn’t really planned to see it but with all the gossip about the high frame rate I just had to. I have seen comments about getting motion sickness by seeing 48 frames per second instead of the traditional 24. To me this just tells me you are more immersed in the movie as motion sickness would be caused by your body not experiencing what your eyes tell you. I have suffered that too, more than ten years ago, but when playing a first person shooter in a pitch black room. The combination of a high frame rate and little external stimuli was a bit too much at the time, but apparently I have gotten used to it. Back to the movie, let me recount my experience of actually watching it and then a little discussion. I expected to feel just fine as I have played games at a high frame rate for ages now, so 48 frames per second should be just fine. What I didn’t expect was for it to feel so different from normal movies. My first reaction was that it felt fast forwarded, a very annoying feeling that made me worry that the entire movie would feel off. I’m not sure when, but after perhaps 10 minutes (never looked at the time) I had adapted and I didn’t think about it again for the entire movie. The next thing that happened was unexpected. I began to feel like I was watching a video game! It was easy to derive the reason why, the most common thing I have experienced at this kind of frame rate are just that, video games. For a while it even felt like the actual humans were artificial, and well, I guess some dwarf noses were that for real but still. Because of this I also reflected over how it’s pretty much impossible to see what is actually computer generated, at least when it comes to architecture, some things like monsters are obvious. The third and last stage was that it began to feel like watching an actual play, you know, in reality. It was hampered a bit by the 3D which I mention below, but interesting anyway. Funny how I got to go through these stages during a single movie, only because of a doubled frame rate, who would have thought it! At no point did I feel any form of nausea, I didn’t notice anyone leave the theater either and I actually forgot about asking anyone about it afterwards as well. If it had been a bad experience I would probably have been interested to discuss it with my peers, now as it turned out to be a nice experience and I didn’t think about much when exiting except what to write here! Some people tell me that passive glasses are better than active, but so far my experience is telling me the opposite. I have seen a few movies (at a theater) with active shutter glasses with absolutely no ghosting that I could see. As for passive glasses, linear polarization has worked fine for me but circular polarization always seem to show ghosting, at the least in high contrast scenes. The downside with active glasses are the weight and the need for batteries, the downside with linear polarization is that you can hardly tilt your head, but in the end I’d rather have any of that than the constant ghosting I get with circular polarization. For this movie it cheapened the experience when the ghosting became apparent, it brings me straight out of the movie world to thinking I’m just watching a flat screen with crappy 3D. As for the scenery and the different depths, it felt like they have really paid attention to depth when filming. Things were layered nicely, plenty of scenes with an up close foreground while things happened in the background, very nice fly-byes in the wonderful New Zealand landscapes. Only at a few occasions did I get annoyed by out of focus areas caused by filming with a shallow depth of field. I’ve covered this before, but simply it is weird when you cannot focus on something in stereoscopic 3D as you are indeed changing your focus to look at different things in the scene, or in reality your eye convergence but you know what I mean. When I got home I did a quick test by starting a traditional 24 frames per second movie. It seemed very old indeed, like the fidelity had dropped just like that, it felt choppy and slow. I’m guessing I will quickly adapt to slower frame rates again, but I sure hope that 48 frames per second will catch on and become the new trend. Actually, I would rather have the next step up in content quality being a higher frame rate than a higher pixel resolution. Lets do some probably way too simple math. The resolution 4k and 24 frames per second would require 199 mpix/s (3840*2160*24/s) which is exactly (!) the same as Full HD at 96 frames per second (1920*1080*(4*24)/s)! Which would you choose? Also, it’s not like modern TVs are incompatible as most panels are able to display at least 60 frames per second and funny enough it’s not unusual that consumer camcorders and even phones are able to record Full HD at 60 frames per second today! Yes, I do hope we’ll see more of this high frame rate stuff in the future, I’m just a bit unhappy with adding a premium on the price, it’s getting ridiculous for a single session. Though, right now I guess it’s fine as I will probably not see another movie in the theaters until the next one with high frame rate, and who knows when that will hit? Who could be unhappy with a high frame rate? I guess people who has never played video games or never had a TV with progressive scan, or movie traditionalists who wants things to stay as they have been the last 80 years. Again, for me, I say bring it! 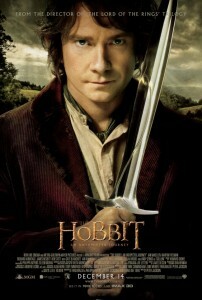 I did like the movie and would recommend it, especially if you like LOTR lore/fantasy/or just quality movies. The story has no surprises to anyone who has read the book, so I’m not commenting on that. Also, keep in mind that this is the first movie in a trilogy so don’t expect a real ending this time around. Even so plenty of stuff happens before the movie is over and I think they picked quite a good point to stop at. It switches between action/adventure scenes and calm dialog scenes fairly regularly. Some scenes feel a bit longwinded but then they to fill three movies from just one book so that is understandable. And actually, perhaps that makes the movie truer to the book than not, but I’m just guessing now as it has been a while since I read it and the passing of time is hard to tell when reading a book. The visual quality is of course superb, New Zealand is again a spectacular place, the costumes and makeup/prosthetics are convincing and very nicely crafted. Just at one point did I feel the sword wielded was made out of foam, in an important scene too, but I’m telling myself the person swinging it was just so strong it would appear to be without weight. This entry was posted in Uncategorized and tagged High Frame Rate, Movie, Stereoscopic 3D. Bookmark the permalink. I saw it yesterday in non-3D. I was anticipating being annoyed at the fast-foward look that I see with frame-bursting on high-end HDTV’s, but instead I saw little difference aside from the motion looking more natural. On those high-end HDTV’s it seems they interpolate frames where they can to ‘up-res’ content to higher than it’s native framerate — and it looks awful and bug the hell out of me. On the other hand, when shot in native 48 fps it seems the effect is that you actually get nice smooth natural motion.